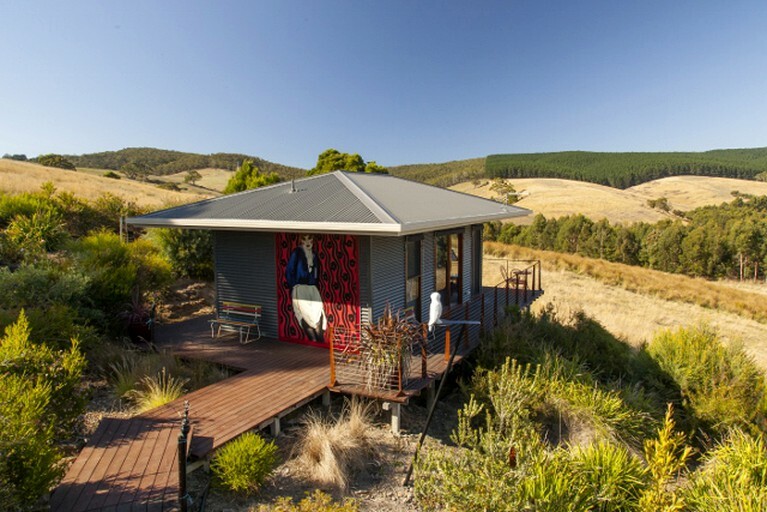 This romantic luxury cabin—perfect for couples!—near Melbourne is a studio-style apartment, with an open plan bedroom, kitchenette, and sitting area. Japanese inspirations and unique artistic design both inside and outside the cabin give a relaxed, tranquil, spa-like feeling. A stunning queen-size bed is the main feature in the room, that is if glampers can tear themselves away from the panoramic views from the windows! The kitchenette has all the basic cooking facilities, such as a microwave and Weber barbecue, for self-catering meals. This luxury rental also includes a separate bathroom with its very own deep Japanese plunge bath, as well as a shower and toilet. Reverse cycle air-conditioning and an electric blanket provide all year round comfort, so glampers can enjoy this fantastic location at any time. For guest entertainment, there is a flat-screen LCD TV, as well as lots of extra luxury touches. Linens and toiletries are provided, and a light continental breakfast is included. 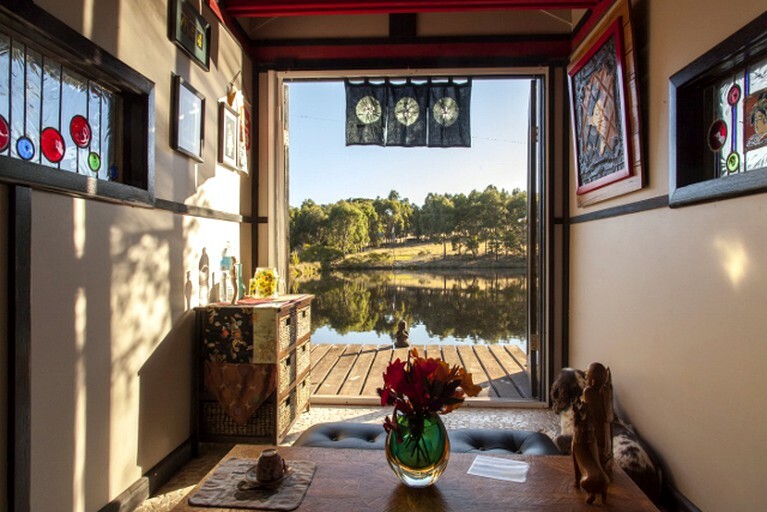 The outdoor terrace balcony allows glampers to relax outside, sipping wine as the sun slowly dips over the horizon while listening to the sounds of the Australian countryside. This property has cooking facilities for self-catering meals. A basic continental breakfast is included in the rate of the rental. 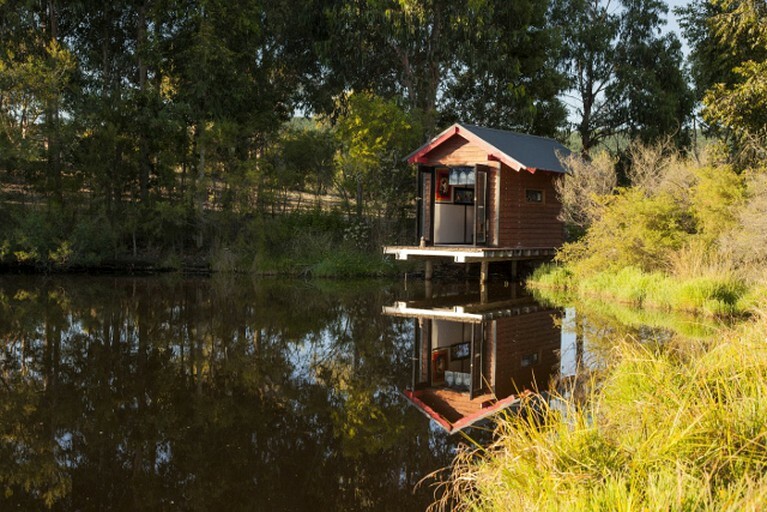 The property is delighted to provide an accommodation partnership with Brae Restaurant, Birregurra, a 15-minute car trip away. Here guests can enjoy the ultimate dining experience with a luxurious, special dinner. A chauffeur driven return transfer can also be arranged for around $80.00 (subject to availability). Guests can pre-order a luxury hamper to share on a romantic getaway. Upon arrival, guests can enjoy one bottle of Blakes Estate Champagne, Moorabool Valley "By Design" artisan chocolates, homemade macadamia biscuits, and melt in the mouth chocolate souffle with a dollop of delicious cream. $45.00 (per night). Guests can add this delicious Breakfast Hamper to their accommodation booking which will include: free-range eggs, free-range pork sausages and bacon, artisan muesli, orange juice, local sourdough bread, mushrooms, tomatoes, and local jam. 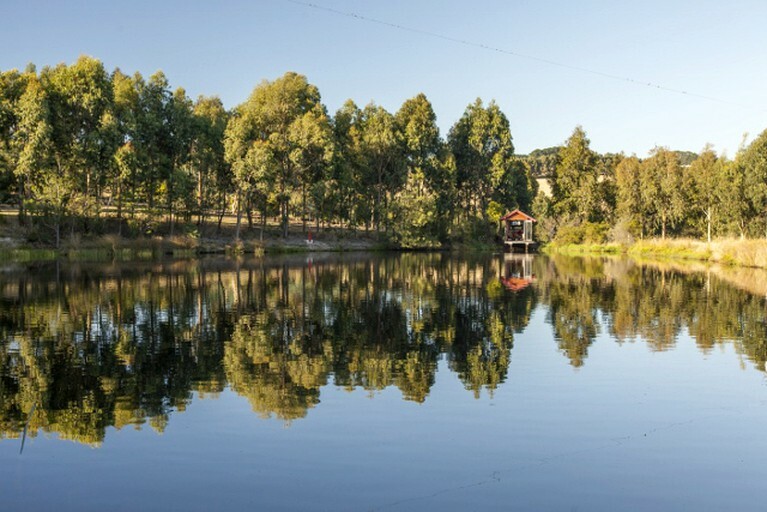 Thanks to its close proximity to Melbourne city, guests can easily travel along the scenic coastal roads and explore the lakes and forests. For those who prefer to explore what Mother Nature has to offer, there are numerous activities. Visitors can explore the forests with a treetop skywalk, go berry picking, and visit the local boutique food market or wineries. For those who would like a bit of adrenaline, there's the opportunity to mountain bike, zip-line, hike, and explore the gorgeous land and its wildlife. Speaking of the local wildlife, there are many wildlife centers which inhabit many exotic species. Rates may vary due to currency exchange. There is a two-night minimum booking period and three nights on holiday weekends. Rates vary on holiday weekends and in the summer season. This accommodation cannot accommodate pets.